Vehicle Signs & Decals - Sign Your Vehicle Using Custom Vinyl Letters, Logos & Wraps. Complete Pricing Guide for All Vehicle Signs. Choose one of the Vehicles below to Access Pricing Information & Options. Vinyl graphics and lettering for your vehicles are a great way to make an impression on potential customers or showcase your personal style. Automotive vinyl graphics are one of the most cost-effective forms of advertising. Vehicle signage is an important part of your business's marketing strategy. It allows for a form of outdoor advertising that has a cost-per-impression much lower than billboards or bus advertising. With automotive vinyl graphics you can also use it make your fleet of vehicles uniform and easily identifiable. Your customers will recognize your vehicles when they arrive at a home, business, or job-site and instantly project an air of professionalism and security. You may even earn new customers when they see your vehicle with its distinctive logo and graphics at their neighbors' homes or around town. Automotive vinyl graphics allow you to put your own design flair on your ride. Bring your ideas to us and we can create a custom design that makes your vehicle stand out! Our premium vinyls are great for adding your boat's name to the side in style or decking out a jet ski with an intricate design. We can also customize designs for motorcycles and ATVs. You can easily install pinstriping and other cool design elements to any vehicle to make it uniquely your own. Feel free to contact one of our customer service specialists for personalized suggestions - you can also design online or upload your own creations! Want to learn all about how it easy it is to install automotive vinyl graphics and lettering yourself? We have a number of videos below to help you out and we also have step-by-step instructions. The instructions are available to view online or download as a Google Doc or as a PDF. And of course, if you have any questions at all just let us know! Choosing vinyl letters and graphics doesn't have to be intimidating. 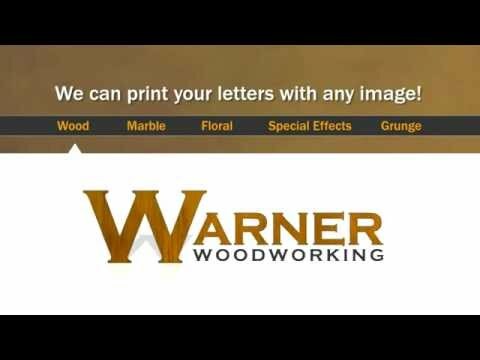 These videos will teach you the difference between vinyl letters and decals and how exactly they are produced. 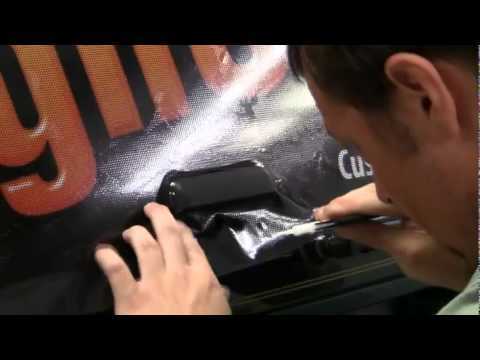 You can also view videos on vinyl graphics installation on our Vinyl Application Videos page. We like to provide our clients with all the information they need to make the right choice for their business or promotion. Choosing vinyl letters and graphics doesn't have to be intimidating. 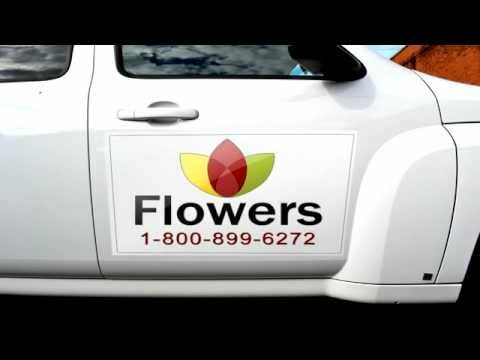 These videos will teach you the difference between vinyl letters and decals and how exactly they are produced. You can also view videos on vinyl graphics installation on our Vinyl Application Videos page. We like to provide our clients with all the information they need to make the right choice for their business or promotion. Displaying Vehicle Lettering and Graphics is easy! Applying your custom vinyl letters is easy and cost-effective with our do-it-yourself application kit. You'll achieve a professional look without having to pay a professional. Anyone can do it, and we have how-to videos and instruction guides to help you along the way. Plus, we offer a DIY "Goof-Proof" Guarantee. We can print vinyl graphics in just about any size. However, we do not recommend vinyl graphics and letters under 1/8". Letters and Graphics at this size are difficult for your customers to see. Plus, at such a small size, vinyl tears easily. TheSignChef.com will cut your Vehicle Lettering and Graphics into ANY custom shape. Pictured below are a few custom graphic shapes, if you need graphics in a unique shape, let us know. Our online pricing tool instantly calculates the exact prices on Vehicle Lettering and Graphics. 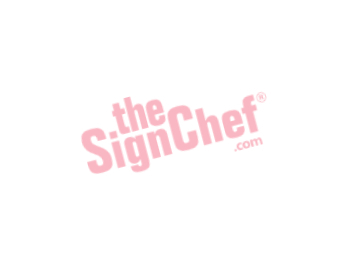 At TheSignChef.com, shipping for all indoor and outdoor signs is free for orders within the continental US , $150 and above. Want to save money, but worried you will get in over your head? If you've never applied vinyl letters and graphics before, the process can seem pretty intimidating at first. You don't want to "mess up" and get the letters crooked. Or even worse, botch the job so badly you have to buy another set and start all over again. But we make this process easy. All of the vinyl lettering and graphics you receive from TheSignChef will come pre-spaced and ready to apply. Plus, you'll receive an application kit, step-by-step instructions, and will have access to our online how-to videos. If you're still worried about installing your own letters and graphics, we offer a backup plan. For an additional 25% of your total cost, we offer our Goof Proof Guarantee. Goof Proof allows you to receive replacement letters or logos for those you mess up and we pay the shipping. Once you've put vinyl letters on for the first time, you may wonder how sign shops get away with charging so much for something that's so easy to do. It doesn't take a "professional" to look like one. How quickly can you produce custom vehicle lettering and graphics for me? Once you approve the finished graphic online, your custom vehicle lettering and graphics will ship in just 24-48 hours. Large or unusual orders normally ship in 3-7 business days. If your order is time sensitive, please authorize the exact turnaround time with Customer Service at 1-800-899-6272. Any sign order $150 and above comes with free shipping. For details on rush shipping, please call our Customer Service line (1-800-899-6272). What size vehicle lettering and graphics do you offer? We offer vehicle lettering and graphics in all sizes and even in custom shapes. Will getting a full color design on my vinyl letters and graphics cost me more? All of our vinyl vehicle lettering and graphics are printed in full color. This means that however colorful your design is, it will not impact the cost. However, pre-colored or reflective vinyl graphics can incur additional costs. What comes in the do-it-yourself vinyl application kit? Be sure to check out our how-to videos and instruction guides to supplement the application kit. Will my vehicle have damage once I remove the vinyl lettering and graphics? In general, your vehicle should not be damaged by vinyl graphics. When you remove them, there may be some adhesive residue left behind that can be easily removed with cleaner. If you leave the vinyl graphics on for an exceptionally long time (and we offer vinyl that will last a VERY long time, if need be) you may notice that the paint behind where the vinyl was is brighter or cleaner looking. What if my order comes with a defect? If your custom vinyl lettering and graphics or some other product you ordered from us shows up broken or includes production defects, please contact Customer Support via Live Chat or call us at 1-800-899-6272 immediately. Manufacturing defects fit in our Workmanship Guarantee, so we will replace your sign free of charge. Would you help me with a rush order, even for custom vinyl letters and graphics? We would be happy to help you with rush processing on vinyl letters and graphics for a vehicle. The fastest way for us to help you with a rush order will be for you call us at 1-800-899-6272. What exactly are vinyl letters and graphics? Vinyl letters and logos for vehicles are cut from vinyl roll stock resembling the same type of material from which bumper stickers are made. 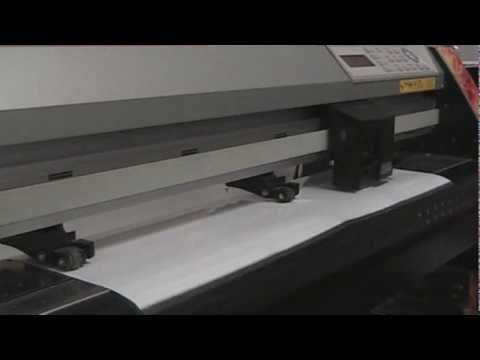 A computer controlled cutting machine called a plotter, scores and contour cuts the vinyl sheeting into precision, custom shaped vinyl letters and graphics. When vinyl graphics and logos are applied, it almost looks as if they were printed right onto the surface. There is no clear or white background as with a bumper sticker or other type of decal. Can I design my vehicle lettering and graphics online with any design I want? You can choose almost any design or color scheme you want for your custom vinyl graphics and lettering. If you want more details about design, or want design help, feel free to call or email us. Can I get my vinyl vehicle graphics cut into a custom shape? We can contour cut vinyl to create any design that is a vector file. Vectors are pixel-free and usually come in PDF, EPS or AI files. Photographs, for example, cannot be vector files. Can I apply my vehicle letters and graphics according to other instructions I’ve found online? We’ve worked hard to create the perfect instruction videos and step-by-step guides that are comprehensive but not overloaded with needless information. Do you offer any quantity discounts for custom vehicle lettering and graphics? we do! The more vinyl vehicle lettering and graphics you purchase, the less each one will cost. Which means the vinyl lettering and graphics on your vehicles can reach an increased number of people for the more cost-effective price.